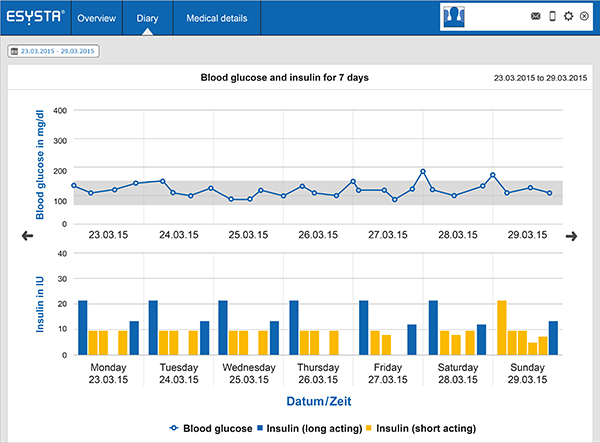 The ESYSTA Portal seamlessly displays the blood glucose values, carbohydrate units and insulin doses sent to it. Special algorithms analyse each patient’s data and evaluate it continuously. A quick summary of critical values or incorrect doses, coupled with rapid communication between the doctor and the patient, brings a new dimension of quality to the treatment of diabetes. 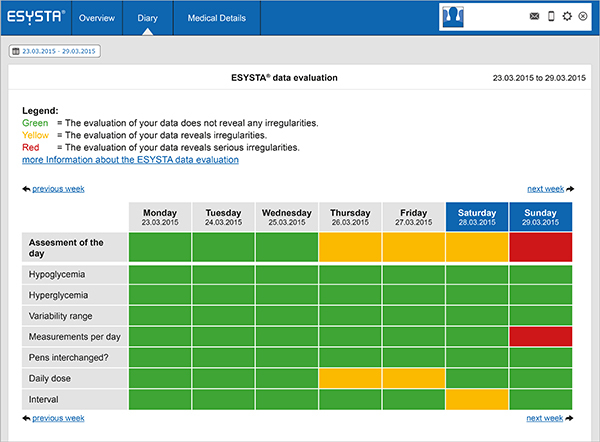 The ESYSTA Portal is CE-registered as a medical device under DE/CA76/H00075/05. To protect patient data, the ESYSTA Portal uses the strictest security standards in a data centre certified by the Federal Ministry of Security in Information Technology (BSI). Emperra’s security standards are also regularly verified by an external data protection auditor.